The first step in having your foundation problem fixed correctly and permanently is to understand the source of the problem. With that understanding the right solution can be provided. 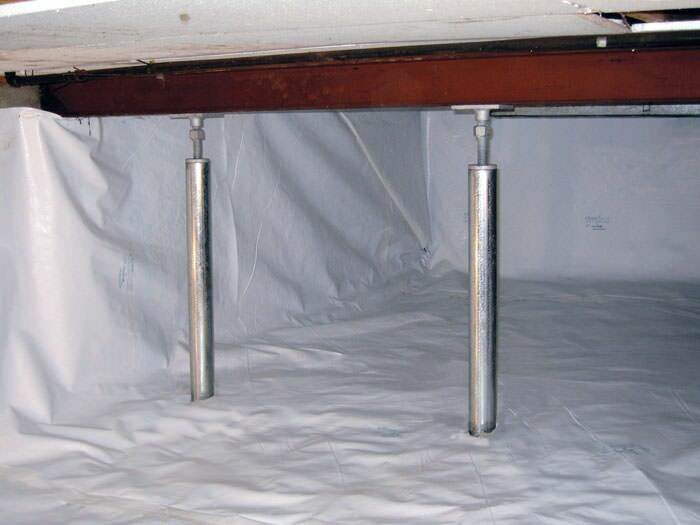 Healthy Basement Systems has a team of in-house foundation repair experts. We have the training and the right, warranted products to solve the problem. For years now we have bee providing permanent foundation solutions for homeowners like you. 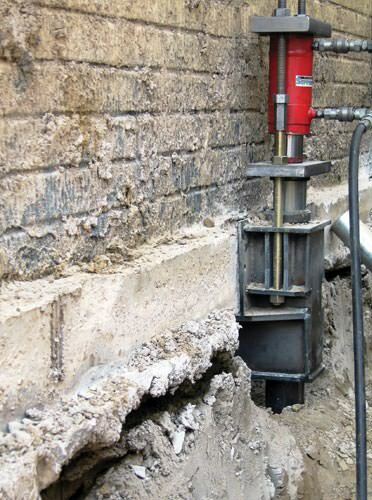 To get started give us a call or setup a foundation repair quote to have one of our foundation experts inspect your home. We provide a free inspection & consultation along with a free estimate for the needed work. Let's get started fixing the problem today. Supportworks is an international network of hundreds of foundation repair contractors. Supportworks' team of in-house structural and geotechnical engineers have spent years developing and testing our own patented products. These products have been designed to solve your exact problem. Our products meet or exceed both local and international standards. 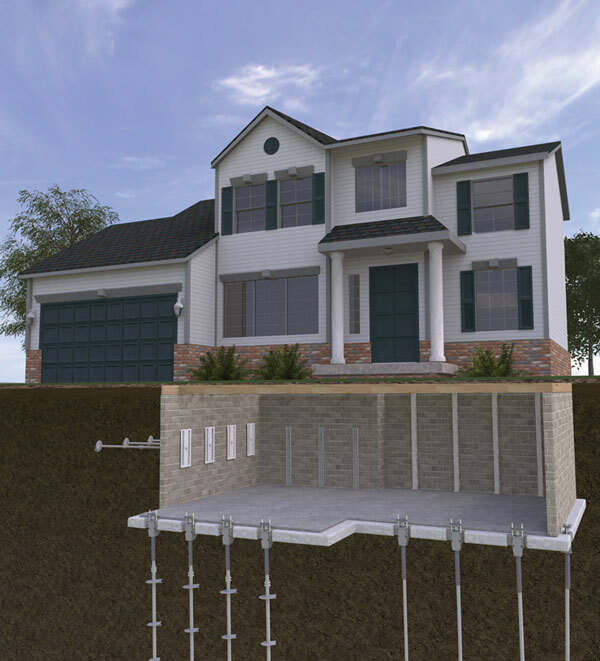 We trust in the quality of our work and provide warranties for the foundation products we install. Give us a call today to schedule your free quote! We were contacted by the realtor for the customer, who was selling the home. The realtor, having done a great deal of work with us, knew to call Healthy Basement Systems right away regarding this estate home. The walls of the foundation were bowing, and the client needed the house to look good so it would sell quickly. We stabilized all the basement walls with our heavy steel PowerBrace product, which will support the foundation for the life of the home. The walls were painted white, so they would look better, and the home sold quickly. Success! This homeowner had their dryer vent going into the crawlspace which caused the joists to rot from longterm exposure to moisture. We replaced the rotted joists and installed SmartJacks to reinforce the above floors. 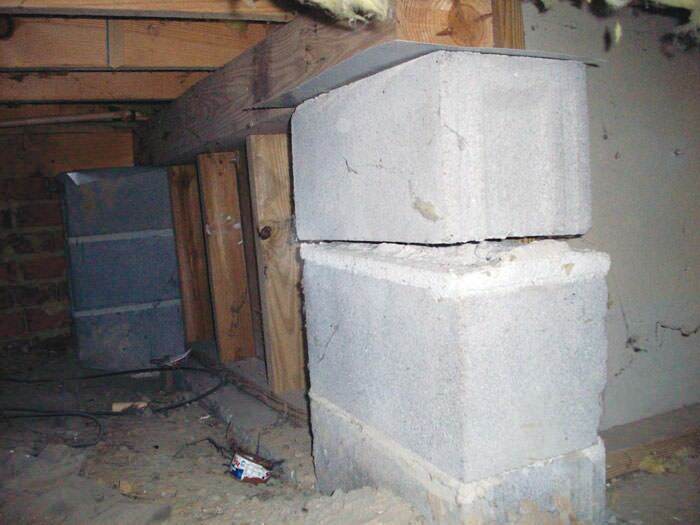 This before picture shows an unstable support of beam holding up the house in the center. We needed to replace the support beam with a new 2 by 6 beam and a post. This homeowner was in need of a replacement support post. One of our SmartJacks will be the perfect substitute to properly support the floor above. A SmartJack was installed in place of a wood pole that had been shimmied underneath a floor beam. The wood pole was not holding up the floors properly so the homeowner called Healthy to get help. The SmartJack will do a much better job at supporting their above floors. This customer had bowing walls that needed support and to actually be pulled in and straightened. Even though we had to cut the driveway to get the anchors in, it was still a nice and neat job! This shed was acting as a retaining wall and had severely bowed. Bowing happens when walls experience pressure so great that they are unable to hold up against it. The homeowner was looking to save the shed for storage and at the same time keep the retaining wall intact. 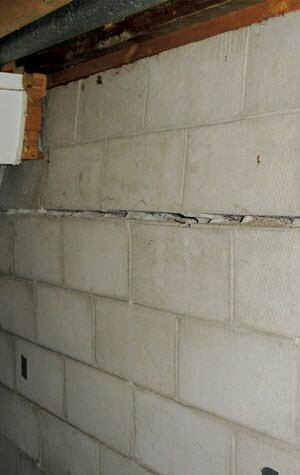 We repaired these walls with the PowerBrace Foundation Wall Repair System from Foundation Supportworks. This customer was having issues with a bowing foundation. The owner of Healthy Basemernt Systems, Bill Simone, personally assisted this customer with his foundation issues. 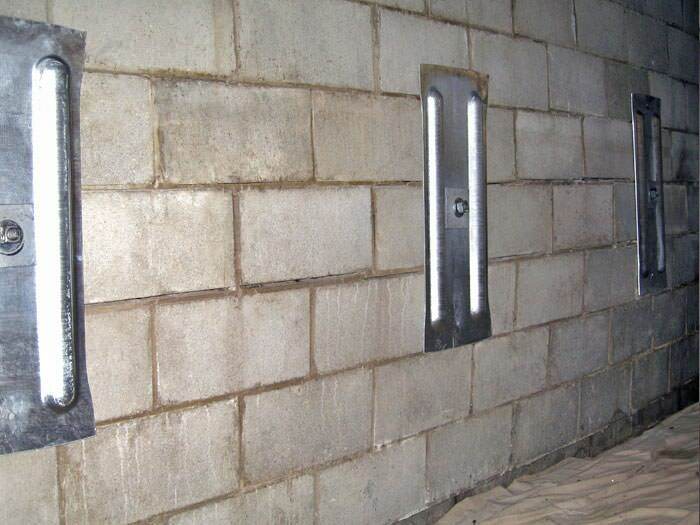 With these GEO-Locks in place, the customer will never have to worry about his foundation again! All our products are guaranteed for the life of the home, with a written guarantee that transfers from owner to new owner. 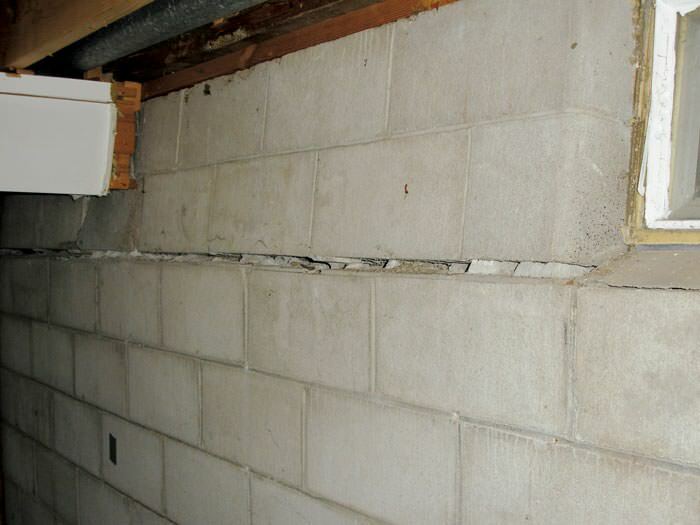 The customer's home is now safe from potential damage often caused by a settling or cracking foundation. This homeowner was looking to sell their home but needed to make some improvements first. We remediated mold and improved the support in their crawl space. Here is a cracked support beam that was making the floors sag and creek above it. The homeowners wanted to walk above their crawl space in peace! We installed SmartJack support posts to fix their sagging floors. Now that you know you have the right company with the right solutions the next question is how long will it take. 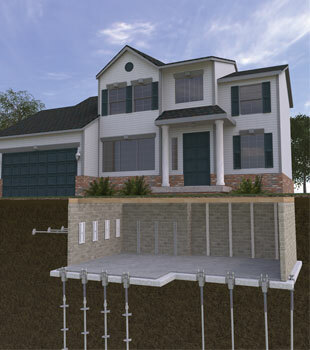 The good news is that a typical home foundation repair usually takes less than a week to finish. But don't misjudge speed with sloppy work. Our systems come with a written warranty giving you peace of mind that your home was repaired properly. 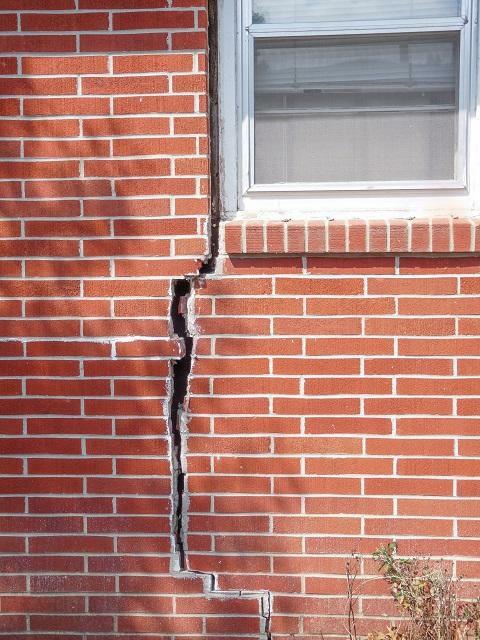 Our goal is also not just to prevent further damage to the foundation but to actually restore it. 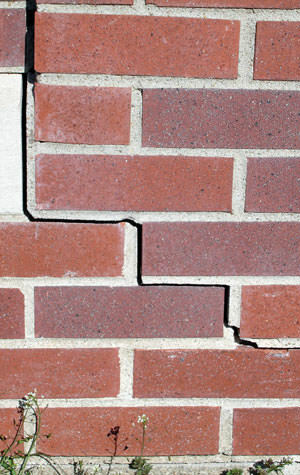 After all issues like stair-step foundation cracks, buckling walls, and sagging floors destroy your home's value. Our goal is to return your home to its original position and structure. We restore the value of your home, not just abate further loss. 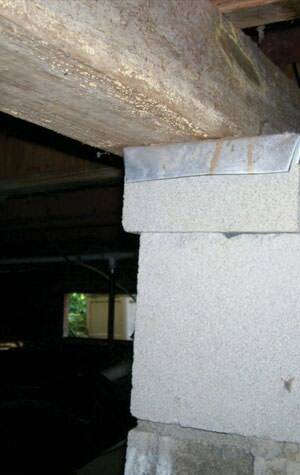 We offer permanent solutions to your structural issues. The first step of our repair process is running a thorough inspection of your home. For free, we will have one of our inspectors come to your home to properly diagnose the problem before you plan on any work. Your home is your greatest investment and we are here to help you protect it. Get started with a free, no-obligation inspection & estimate.